Stylish and smart entertaining made easy. At Wine Enthusiast we respect the importance of providing products that are both luxuriously indulgent and easy to care for. 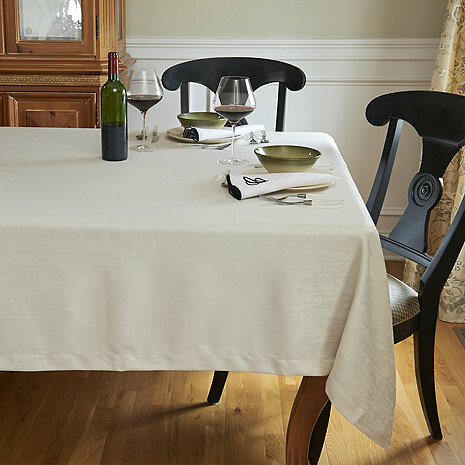 With this in mind, our tablecloth has a unique eco-friendly coating that prevents wine and other liquids from staining, yet still maintains the lush look and feel of fine linen. Available in Taupe. 100% Polyester. Machine washable.